If you want to go a little lighter, but don’t want to sacrifice your big glass (Nikon 200-400mm f/4 lens, 500mm f/4 lens, or Sigma 120-300mm f/2.8 Lens, you’ve been stuck – up until now. 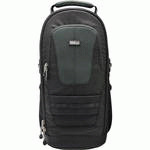 The new ThinkTank Glass Limo is a sturdy photo backpack suitable for carrying one DSLR (even a full-size Pro model) attached to a long lens, and still fit another body, a short lens or two, a teleconverter and some small accessories. It is about half the width of a seat, so sharing a “three-seat” row with another photographer using one is pretty easy. Of course with the smaller size comes some tradeoffs. The ThinkTank Glass Limo will not hold a long lens with the hood in place, although it will cradle your camera with long lens and hood, with the hood sticking out of the end. That’s not a bad configuration for when you’re actively shooting from a vehicle. The solid padding of the bag took the resulting crushing quite well. After 12 days on safari, after I brushed off any remaining dust, the bag looked and felt like new. 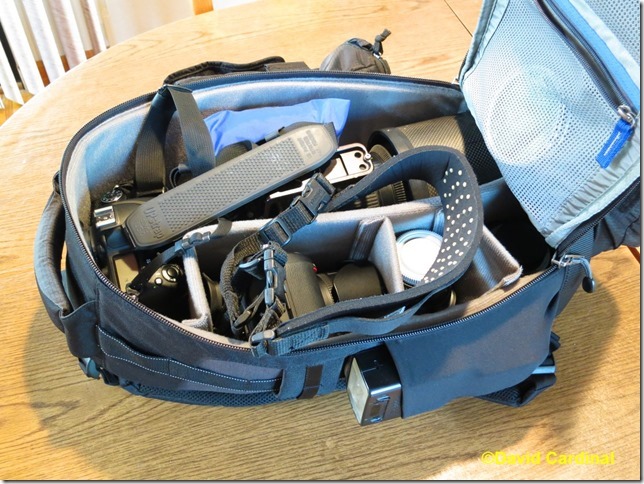 The ThinkTank Glass Limo also will not hold two DSLRs with lenses mounted. 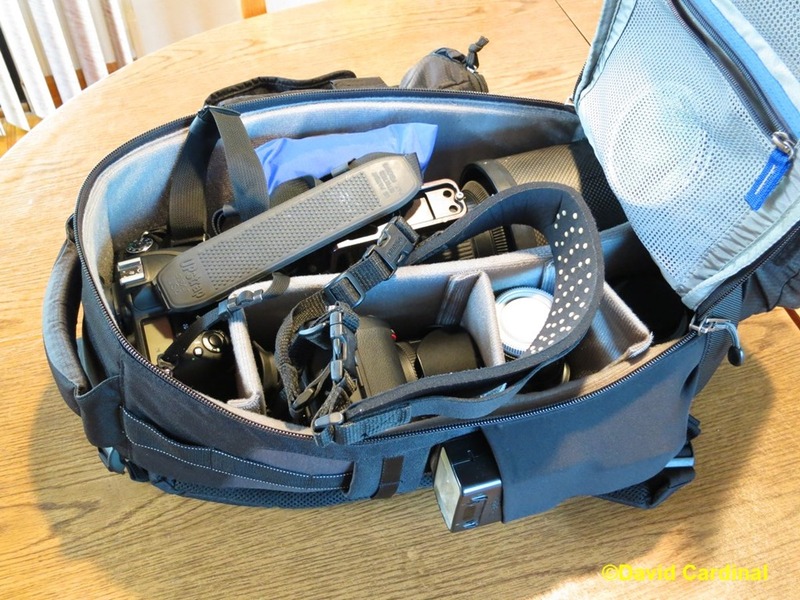 You can “rest” your second body in it face down while your primary body and lens are safely stowed, but that requires actively holding a hand on the bag to make sure it doesn’t bounce out. I found this to be a small drawback for initial setup at the beginning of our game drives, but once underway I usually had one camera and lens in my lap ready to go while the other was in the bag, so it wasn’t that big a deal in practice. Nikon D600, Nikon D7000, Nikon 200-400mm f/4 Lens, Nikon 1.4 & 2x TCs, Nikon 24-85mm AF-S VR Lens. 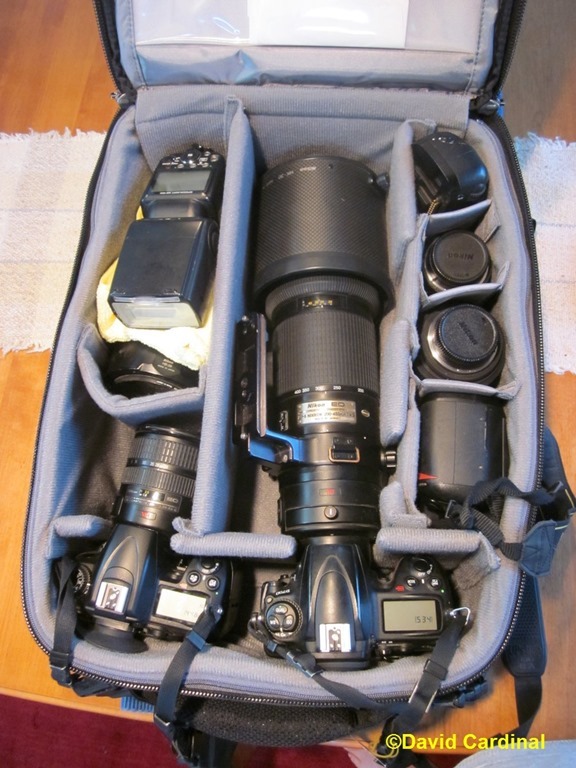 Also packed in are my Sigma 85mm f/1.4 Lens and my Nikon SB-900 Flash in a side pouch. The ThinkTank Glass Limo also won’t allow you to work with a full-up “pro” complement of lenses without expanding it. 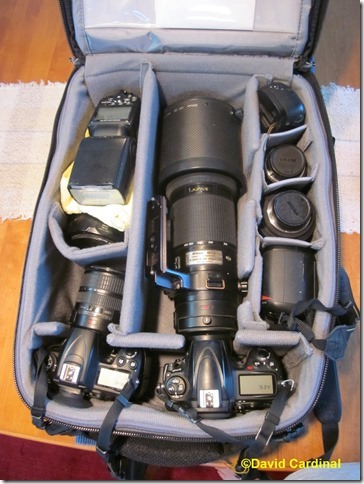 Attempting to fit a long lens, a 70-200, a mid-range zoom, teleconverter, and two camera bodies overflows the bag. Fortunately the Glass Limo comes with the clever ThinkTank pouch attachment system, and you can attach up to three pouches (one on each side and one on the front). This makes the bag a lot more awkward, and not all that much smaller than just bringing a full-size bag like the ThinkTank Airport Takeoff in the first place, but it’s nice to have the option. as well as my Sigma 12-24mm lens, and my Nikon D70 Infrared converted camera body. However, the Airport Takeoff is larger, and heavier, and of course takes more room in a vehicle. The Takeoff is a roller, though, which is great for hiking through International airports. As any participant in one of my photo safaris or workshops know, speed is essential to great action photography – especially wildlife photography. Not hurky-jerky thrashing, but thoughtful, effective tactics to get you and your camera in position for the shot before the peak of action. Great cameras and lenses help with that, of course, as does preparation and knowledge of your subject, but your camera bag matters, too. If you’re using a bag that requires you to put it away and pull it out every time you need to change lenses or filters, you’re losing time and opportunities. 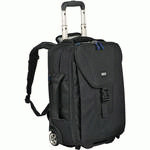 Having a bag that fits comfortably where you’re working with it, and provides easy access when you need it, is a huge advantage. That’s why I really liked the ThinkTank Glass Limo for situations where I only had a limited amount of room next to me. It fit nicely on the center consoles of the Land Rovers for those sitting in the front seat, and was narrow enough that two people using them could comfortably share a three-seat row if they needed to. Here are some of the images I was able to capture using a Glass Limo along with my Nikon D7000, Nikon D600, and Nikon 200-400mm f/4 Lens, and new design Nikon 24-85mm AF-S VR Lens.